Every year on a cool November evening the sound of firecrackers signals the start of celebration of India’s favourite festival Diwalil. Homes are decorated, sweets are shared and gifts exchanged and millions of oil lamps are lit all over north India. Join us this year for the Diwali – the Festival of Light, while at the same time discovering destinations of Agra and Jaipur in India’s famed Golden Triangle. This trip encompasses all that is India: festivals, temples, rural communities, the Iconic Taj Mahal. This is a holiday like no other... full of vibrancy, gaiety and culture. Delhi International Airport, on arrival you will be met and complimentary transfer to your hotel. Old Delhi City Tour –Visit the Jama Masjid constructed in the late 16th century by the Mughal Emperor Shah Jahan, builder of the Taj Mahal. Visit Chawri Bazaar: Some shops still run by the same families since the late sixteenth century. After the old Delhi tour visit Raj Ghat , Memorial for Mahatma Gandhi. Drive past the Majestic Red Fort –Wander the busy streets of the oldest bazaar in Delhiat Chandni Chowk. Enjoy a ‘Cycle Rickshaw’ ride through its busy streets Later visit Humayun’s Tomb, built by the widow of the second Mughal Emperor, Humayun, it is an outstanding monument in the Indo-Persian style, a precursor of the Taj Mahal. Drive past the imposing India Gate, the Parliament building and the Rashtrapati Bhawan, the President’s residence. Evening free for relax. Travel by road to Agra - the city that thrived under the patronage of the great Mughals who ruled India for more than 300 years and renowned for constructing amazing monuments including the Taj Mahal. After checking into the hotel @ 1300Hrs proceed for half day guided sightseeing of Agra. The Agra Fort, an outstanding example of Mughal architecture. Agra Fort - the seat and the stronghold of the Mughal Empire under successive generations. This was the seat of Mughal rule for centuries. Visit its Hall of Public Audience and its Royal Pavilions. Besides the historical monuments, one can also explore Agra’s rich heritage of handicrafts in its markets. Later visit Itmad ud Daula - It is beautifully conceived in white marble, mosaic and lattice and set a precedent as the first Mughal building to be built using white marble inlaid with contrasting stones. The locals call it the ‘Baby Taj’. Early morning @ 0700Hrs visit Taj Mahal (closed on Fridays) - the epitome of love, stands on the banks of the river Yamuna built in the 17th century by the Mughal Emperor Shahjahan. The white marble building changes its hue with the variations in the daylight. Made entirely of white marble and decorated with exquisite pietra dura (stone inlay) work, different types of precious and semi-precious stones were used in the intricate inlay work done on the interiors. This magnificent monument is built around a Charbagh or ’four garden’ plan, split by watercourses— reflects the influence of Persian architectural style. After breakfast @ 1030Hrs check out and travel towards Kalahao and the Rural india Experience. En-route stop for guided sightseeing tour of Fatehpur Sikri, an outstanding example of Mughal architecture and a UNESCO World Heritage site. In 1571 Akbar constructed Fatehpur (Victory) Sikri city as the new capital of the Mughal Empire, replacing the perfectly viable Agra, just 37km away, which was left almost deserted. But after only fifteen years, Fatehpur itself was abandoned and left as an evocative ghost-town, because, they say, of a lack of water. The perfectly preserved red sandstone buildings consist of palaces, courtyards, a life-size chess board, tombs and mosques. Visit the Diwan-E-Khas (Private Audience Hall) with its remarkable central pillar. 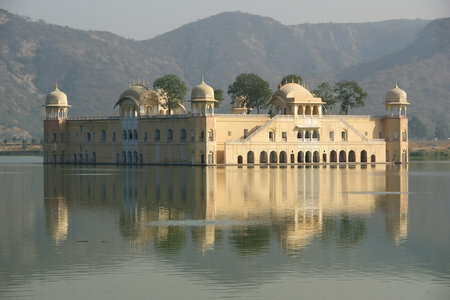 Also unmissable is Panch Mahal, the five storied structure, used as the viewing station for the harem. Later continue drive to Kalakhao and rural India experience. Travel to Jaipur by road. Stop at the Abhineri stepwell and Harshad Mehta temple. On arrival the rest of the day is at leisure. Evening Enjoy Diwali Celebration: - Diwali or Pranav is the Hindu festival of lights celebrated every year in autumn in the northern hemisphere (spring in southern hemisphere). One of the major festivals of Hinduism, it spiritually signifies the victory of light over darkness, good over evil, knowledge over ignorance, and hope over despair Its celebration includes millions of lights shining on housetops, outside doors and windows, around temples and other buildings in the communities. 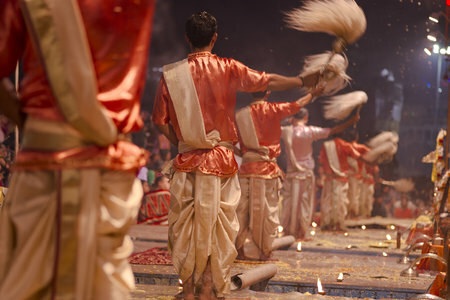 The festival preparations and rituals typically extend over a five-day period, but the main festival night of Diwali coincides with the new moon night. After breakfast @ 0800Hrs proceed for guided visit of Amber Fort, en-route photo stops at Hawa Mahal (Wind Palace); built in 1799 by Maharaja Sawai Pratap Singh at a time when women of the royal family had to observe strict purdah, it is believed that this palace was built for them to take pleasure in the processions and various activities taking place in the streets below without showing themselves and thus enjoying a sense of freedom. Continue your morning with Amber Fort excursion, the ancient capital of Rajasthan and the majestic palace complex to witness a unique system of air-conditioning of 17th century. 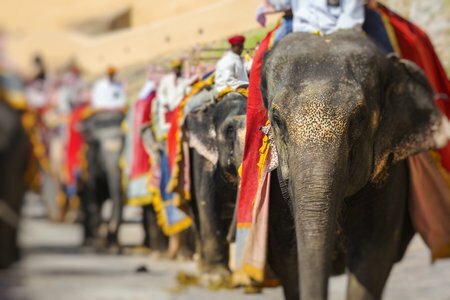 The most enthralling experience of Amber Fort is the gaily decorated elephant ride. A beautiful complex of Palaces, halls, pavilions, garden and temples built by Raja Mansingh, Mirza Raja Jaisingh and Sawai Jaisingh over a period of about two centuries, it still stands in magnificent state. The red sandstone and white Marble palace has some very interesting apartments- Diwan-I-Am, Ganesh Pol, Sheesh Mahal, Sukh Niwas, Jai Mandir, Man Singh Palace and Shila Devi Temple. Later proceed for guided tour of Jaipur city starting with City Palace Museum; boasts to have some of the priceless handwritten Hindu scriptures of the ancient past, miniature delicate paintings, preserved painted ceilings and the elephant saddles (haudas), and is registered in the Guinness Book of Records to contain the biggest silver objects in the world. Conclude your day with visit to Jantar Mantar; one of the famed observatories built by Sawai Jai Singh is a complex of astronomical instruments, chiselled out of stone which provides fairly accurate information to this day. Stay overnight at Jaipur. After breakfast at Hotel, in time you will be transferred to Delhi International Airport for your return flight. All the flights and flight-inclusive holidays [in this brochure/on this website] are financially protected by the ATOL scheme. When you pay you will be supplied with an ATOL Certificate. Please ask for it and check to ensure that everything you booked (flights, hotels and other services) is listed on it. Please see our booking conditions for further information or for more information about financial protection and the ATOL Certificate go to: www.atol.org.uk/atolcertificate. If your package holiday includes flights, then your contract will be with Falcon And Sachz Ltd. The air holiday package shown is ATOL protected by the Civil Aviation Authority. Our ATOL number is T7448. If you book a package which does not include flights, then ATOL protection does not apply. Please read our booking terms and conditions, including cancellation policy before confirming your holiday. Although we make an effort to provide up to date information we cannot promise that all hotel amenities and services will be accessible during your stay, especially when travelling during off peak time. For above listed and other destinations please write to us for more information or contact the relevant high commission/ embassy/ UK agencies before confirming your travel arrangements and holidays. This is your responsibility. It is your responsibility to ensure you are in possession of all necessary travel and health documents before departure. All costs incurred in obtaining such documentation must be paid by you. We regret we cannot accept liability if you are refused entry on to any transport or into any country due to failure on your part to carry correct documentation. It is your responsibility or any member of your party that you must check passport and visa requirements with the Embassy or Consulate of the country (ies) to or through which you are intending to travel. If failure to have any necessary travel or other documents results in fines, surcharges or other financial penalty being imposed on us, you will be responsible for reimbursing us accordingly. Please check your passport carefully and must check passport and visa requirements with the Embassy or Consulate of the country (ies) you are travelling to or through. If you are currently not in possession of a valid passport please make sure you leave plenty of time before your holiday to apply for this document. For holidays in the EEA you should obtain an EHIC (European Health Insurance Card) prior to departure. NB this card has replaced the E111 form, which is no longer valid. Health facilities, hygiene and disease risk vary worldwide. You should take health advice on your specific needs as early as possible and ensure that vaccinations or preventative measures such as anti-malaria tablets are taken early enough (which may be a month or more prior to departure) to be fully effective by the date of travel. It is your responsibility to ensure you are aware of all recommended and required vaccination and health precautions in good time before departure. Advice is available from your GP surgery and from the National Travel Health Network and Centre (www.nathnac.org). Health facilities, hygiene and disease risk can vary considerably around the world and travel to certain countries may make it advisable, or even compulsory to be inoculated against certain illnesses. Therefore, it is essential that you take professional advice about inoculations and other health precautions at the time of booking. Do bear in mind that certain inoculations and preventative measures such as malaria protection may need to be taken well in advance of your departure. The Department of Health – you can obtain a free leaflet, Health Advice for Travellers, from most main post offices. If you are a UK resident, you are entitled to medical treatment at reduced cost or sometimes free, when temporarily visiting a European Union (EU) country, Iceland, Liechtenstein, Norway or Switzerland. Only treatment provided under the state scheme is covered. However, to obtain treatment you will need to take a European Health Insurance Card (EHIC) with you. Please note: Not all UK residents are covered in Denmark, Iceland, Liechtenstein, Norway or Switzerland. Please visit www.ehic.org.uk for further details. You can apply for an EHIC, free of charge, on this website or alternatively by calling 0845 606 2030; or by picking up an application form from the post office. It is a condition of booking that you are adequately insured. Delay protection plan: If flights are cancelled or delayed, airlines normally have an obligation to look after you. Dependent upon the length and nature of the delay, these obligations include providing you with meals and hotel accommodation, assuming always that those services are available. If the airline will not provide you with these services, most holiday insurers will cover you if you are required to pay for them yourself. It is essential when choosing a holiday insurance policy that it provides you with cover in this important area. Where the airline that you’re travelling with won’t provide meals or accommodation in the event of delays, we will do our best (subject to availability) to offer you these services at the lowest possible price. It will be your responsibility to pay for these services at the point that you receive them, and to obtain receipts to enable you to make a subsequent claim against your insurers. Daily Tours and activities listed in the itinerary. Occasionally we may need to substitute one or more of the hotels with that of a similar standard. India is a huge country and drive times between destinations can sometimes be long and this is unavoidable. Journey times are listed in the itinerary and are estimated. India is a vast country with diverse topography. From North India to the South of India the road condition vary depending on the region of travel. You may find modern express highways to un-surfaced dirt roads/tracks. Private Tour: All arrangemnts and transport are private. Group Tour: There is a maximum of 12 persons per group and minimumof 1 person. This must be completed between 7-30 days prior to arrival in India, e.g. if you are applying on 01 June then you can select an arrival date from 05 June-04 July. Your passport must be valid for at least 6 months beyond your departure date from India and have at least two blank pages. Further information can be viewed on the above link. Diwali celebrations, aarti (religious ceremony) at a local temple in Jaipur, fireworks and special evening meal afterwards. When you buy an ATOL protected flight or flight inclusive holiday from us you will receive an ATOL Certificate. This lists what is financially protected, where you can get information on what this means for you and who to contact if things go wrong. All the flights and flight-inclusive holidays [in this brochure/on this website] are financially protected by the ATOL scheme. When you pay you will be supplied with an ATOL Certificate. Please ask for it and check to ensure that everything you booked (flights, hotels and other services) is listed on it. Please see our booking conditions for further information or for more information about financial protection and the ATOL Certificate go to: www.atol.org.uk/atolcertificate. The elegant Divine Paradise Hotel offers 42 beautiful guest rooms as well as free parking, a baggage storage and currency exchange. The hotel is in close proximity to India Gate, Qutab Minar and Cannaught Place. Divine Paradise Hotel offers rooms with a luxurious interior, individual climate control, an in-room safe, a minibar, cable TV and Wi-Fi. A bathtub, a shower and a hairdryer can be found in all bathrooms. The hotel features a lobby restaurant serving Indian cuisine. Divine Paradise Hotel can be reached 45 minutes by car from Indira Gandhi Intl airport. Excellent location and just minutes away from the famous Taj Mahal. Utkarsh Vilas Hotel in Agra is a modern hotel and constructed in heritage style, with Moghul style decorative patterns. The Hotel offers 62 en-suite deluxe rooms with air conditioning. On site facilities include a bar, multi cuisine restaurant and a coffee shop. Spread across 20 acres of lush land, Umaid Lake Palace and its landscaped royal gardens capture the beauty and charm of a bygone era. The palace has 23 Royal Deluxe Rooms, or the option of Swiss Tents organised on special request. The royal kitchen grows most of its own produce. Kalakho is close to some amazing destinations such as the Abhaneri Step Well or the most haunted place in India, the Fort of Bhangarh. In house the guests have the options of indulging camel cart rides, village walks, and organic farming, and fish farm, bird watching walks at the lake or sun-downers on the nearby Sand Dunes.
" The Nahargarh Haveli " is one of Jaipur"s most conveniently located hotel in the city offering smart, contemporary, and best in class service & facilities. Minutes away from tourist attraction. Situated 10 miles from the airport and 1 mile from the railway station. It is best described as an "An old house refurbished " is a 04 storey structure, Escape and discover the highly commended traditional hotel. Hotel is a newly developed elegant property (2010) adopting the Contemporary ideas for business visitors and tourists from around the world. Centrally located in a plush residential area in the heart of city Jaipur, Rajasthan, a north western province of India. Well insulated from the bustle and chaos of the city Jaipur also called the pink city. Hotel Guarantees its guests for absolute value of money by providing the guests a pleasant and comfortable modern stay with excellent hospitality. Hotel is conveniently placed amidst all major tourist attractions. The Hotel offers the finest environment for business & Tourist Travelers. This offer is based on a bed and breakfast stay. You may choose to upgrade to Half Board or Full Board by calling us on +44 208 407 1784. Please call us on +44 208 407 1784 to discuss flight options available with this package. This package can be booked with or without flight component. If you book a package which includes flights, your contract will be with Falcon and Sachz Ltd. The air holiday package(s) shown are ATOL protected by the Civil Aviation Authority. Our ATOL number is T 7448. Alternatively call Civil Aviation Authority to confirm our membership on +44 207 453 6700 between 9am and 5pm.